Description: Jolee's Boutique Dimensional Stickers let you personalize scrapbooks, cards, paper crafts and gifts and more. Each dimensional sticker is hand crafted using fine quality materials. 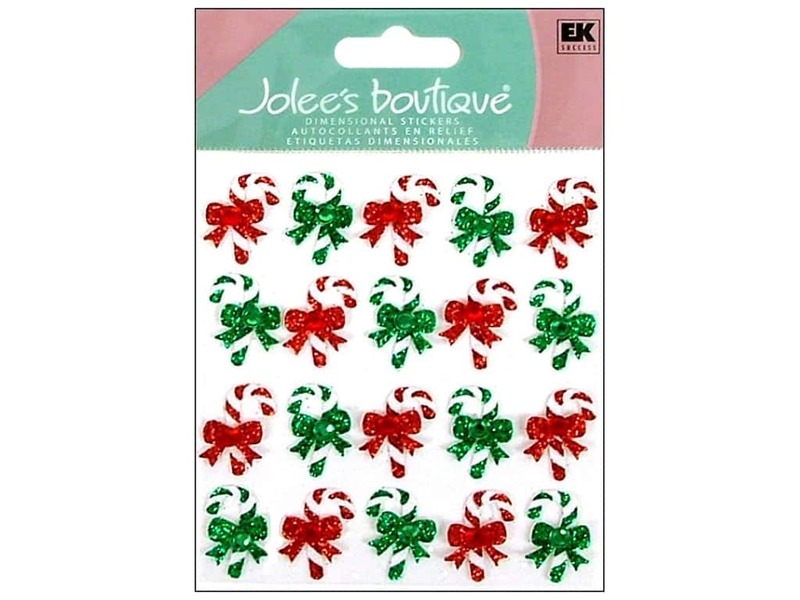 Jolee's Boutique Repeats Candy Cane Stickers include 10 Red and White glitter striped candy canes with Red glitter bows accented with Red rhinestones facing right. The other 10 are green and white glitter striped candy canes with green glitter bows accented with green rhinestones and facing left. All measure about 1/2 inch x 1 inch. 20 pc.